Clothes for me are just like a second skin. They can even be more powerful than our skin because they hold the possibility to express more about ourselves; dress goes beyond our skin color and nationality. And while our dress accompanies us in our daily life, it becomes the accumulation of our memories, which we collect every day. Centered in this interwoven structure is the physical presence of these created memories, a collective existence in the absence. The black thread separates us from this physical presence, but at the same time this structure allows me to create new space. Piling up layer after layer of cut, tangled and knotted thread creates the entirety of the universe bound to this framed space. Using webs is something that allows me to explore breadth and space like a line in a painting. An accumulation of black thread forms a surface and I can then create unlimited spaces that gradually expand into a universe. When I can no longer trace a yarn installation or an art object with my eye, it begins to feel complete. Piling up layer after layer creates a deep black. I believe that the truth emerges from a work for the first time when you can no longer see it with the eye. Confronting fundamental human concerns like life and death, Shiota explores questions such as “What does it mean to be alive?” and “What is existence?” in large-scale installations that make use of a variety of media including sculptural elements, photography, and video. 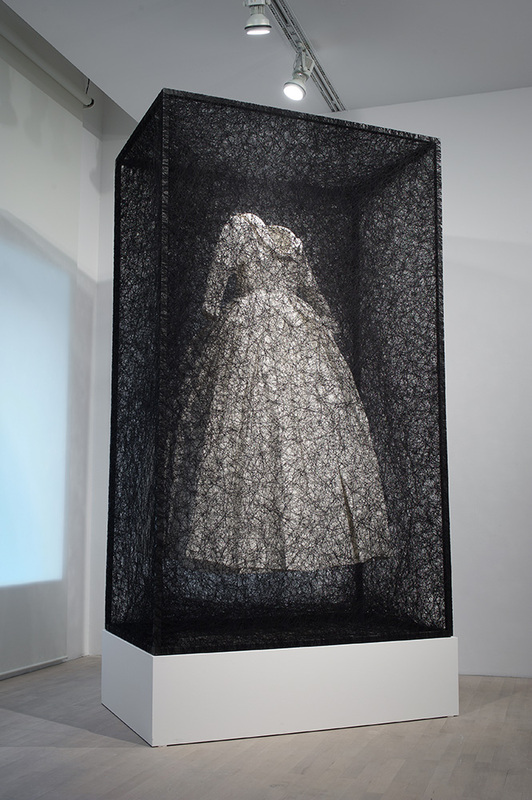 Shiota’s museum exhibitions include MoMA PS1, New York; Mori Art Museum, Tokyo: National Museum of Art, Osaka; La Maison Rouge, Paris; The Museum of Art, Kōchi, Japan; Freer and Sackler Galleries of Art, Washington D.C., and Kunstsammlung Nordrhein-Westfalen, Düsseldorf, Germany, among others. 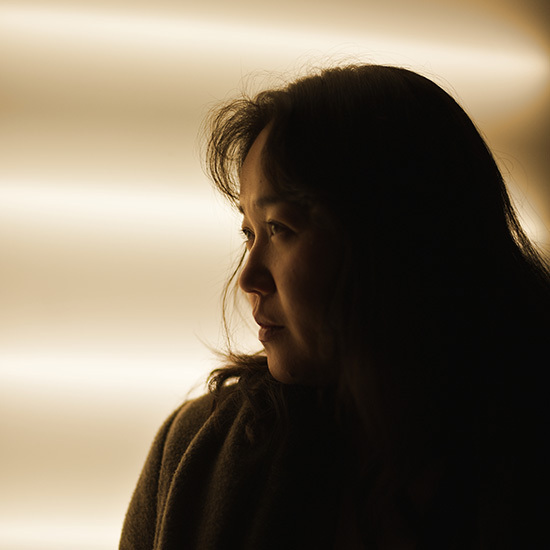 In addition to exhibiting at the 2015 Venice Biennale, her work has also been featured in the Biennale of Sydney, the Aichi Triennale in Japan, the Gwangju Biennale in South Korea and the Yokohama Triennale, Japan.